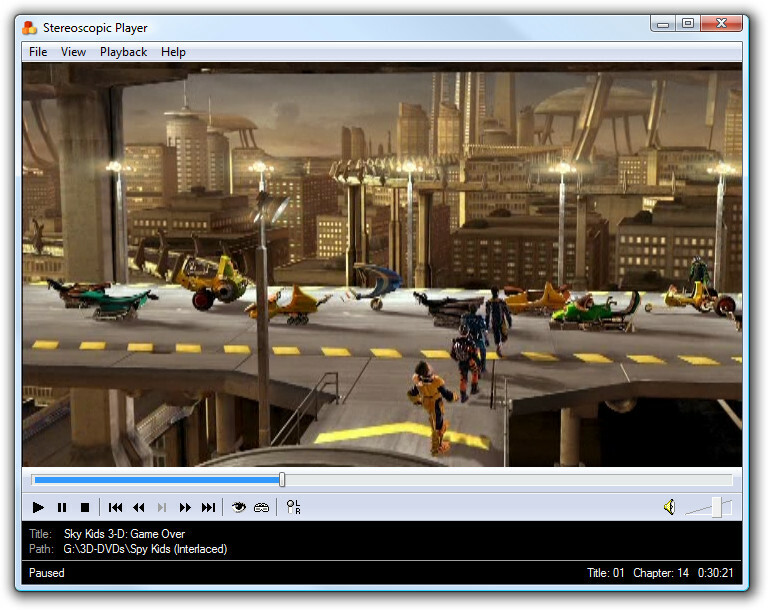 The following screenshots have been taken while playing a field-sequential and a SENSIO DVD of the same 3D movie. When looking after edges, you will notice that the SENSIO® Hi-Fi 3D versions have less 'jaggies'. 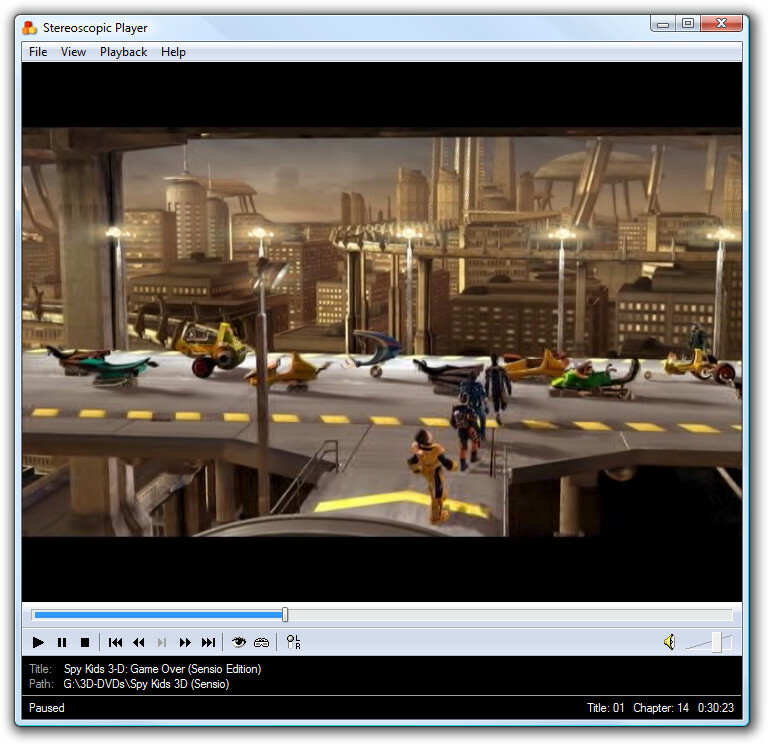 Note that Stereoscopic Player 1.4 or better is required for high quality decoding of SENSIO® Hi-Fi 3D content. Although the black border has been encoded in the video stream, thus reducing the effective resolution, the image quality is still superiour compared to the the field-sequential edition. In this example, the effective number of pixels is exactly the same for both editions (720 x 480 pixels).